I love making this recipe mostly because it requires little effort and is substantially filling. I'm a southern meat loving lady..so having some sort of protein (other than bean variations) is crucial each week. Corey and I both love a delicious tenderloin from Trader Joes (which typically come pre-seasoned & ready to cook). 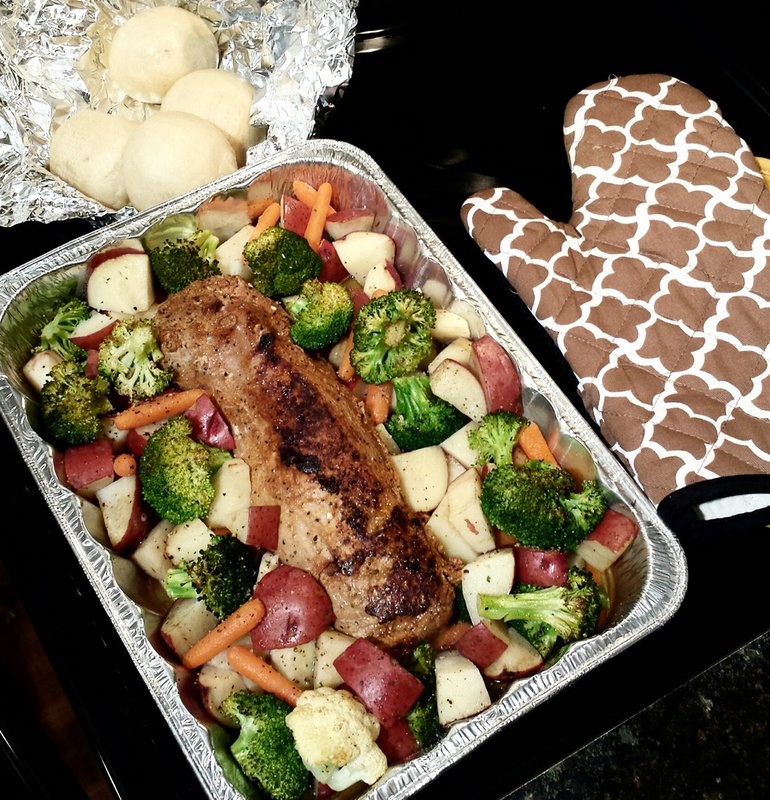 We opted for the chipotle pork tenderloin and decided to add mixed fresh vegetables and some chopped red potatoes. If you like ingredients and having a list (over making your own variation) here you go! First off I like to prep all my ingredients so it's easy to throw them together. Go ahead and chop your broccoli, cauliflower, and potatoes into sizes you prefer..for us, I typically quarter most everything and just cut broccoli and cauliflower into smaller pieces while leaving some whole. Secondly, go ahead and sear your pork. This will allow the juices to marinade and really gives the meat it's richness. I ussually just place it on a skillet and cook each side for a couple minutes. Now you are ready to get going! Preheat oven to 425 degrees F. In 9x13" pan, place seared pork tenderloin and sprinkle with seasoned salt (and herbs). Arrange vegetables around pork (along with chopped potatoes). Add a tablespoon of butter and sprinkle it with the red wine vinegar. Bake, uncovered, at 425 degrees F for 35 minutes. 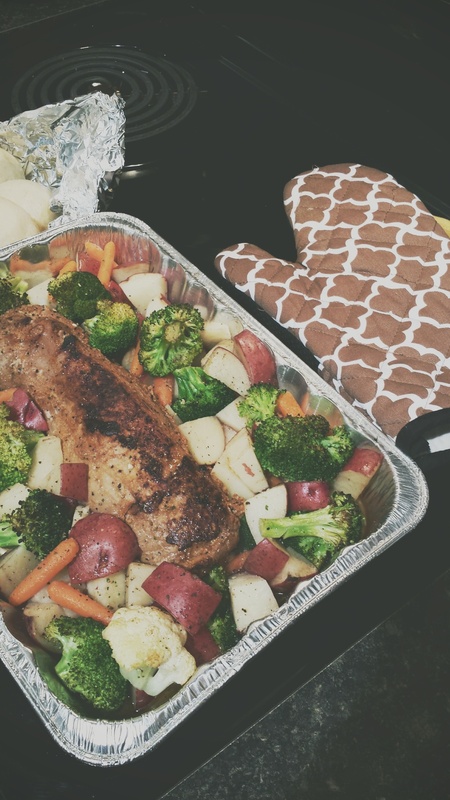 Then cover pan with foil and bake 10-15 minutes longer until pork is cooked and vegetables are tender.